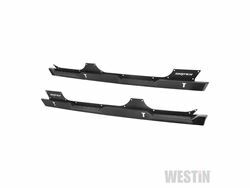 Westin Snyper Rock Sliders are made to protect the Jeep's rocker panel while providing a fully functional step. 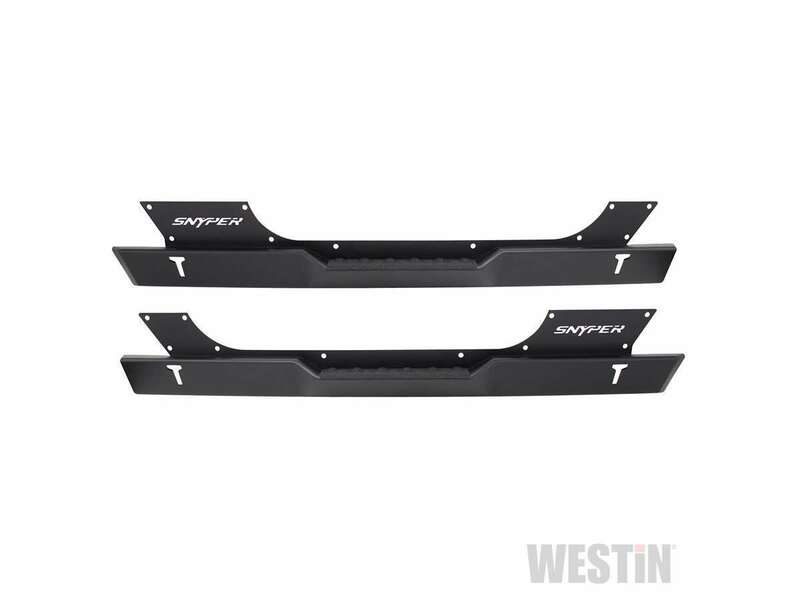 They mount tiht to the rocker panel which provides maximum off-road ground clearance. 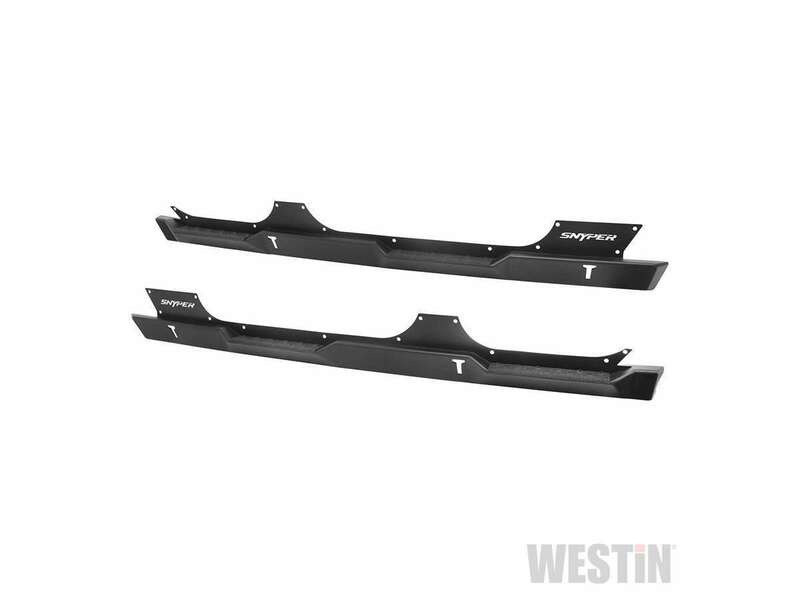 Step areas feature heavy textured epoxy non-skid step area for maximum traction. 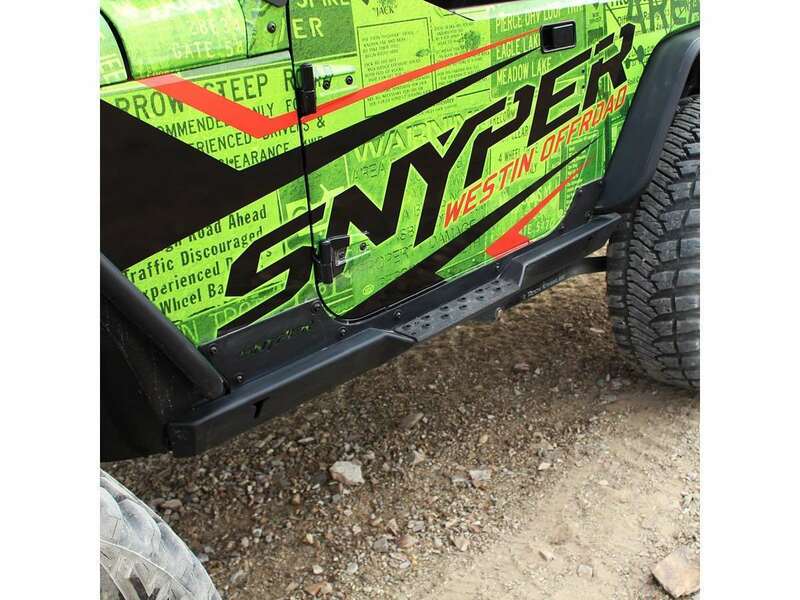 They also feature two off-road jack points. Available for 2 door and 4 door Jeep® Wrangler JK.